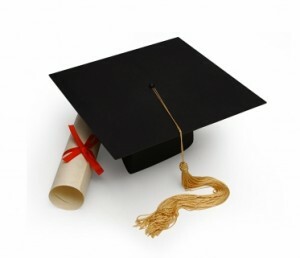 You are here: Home » Basics Of Self Education » Should We Abolish the College Degree? Schooling is not equivalent to learning, a fact that is becoming all too obvious in the modern workplace. College graduates are often dismayed that, after spending four years attending classes, they lack the practical knowledge necessary for real-world success. Employers commonly weed out job applicants by requiring a degree, making it necessary for potential workers to attend school and put themselves thousands of dollars in debt for knowledge they could have acquired elsewhere. In many cases, the system simply isn’t working. Those are radical words. But, Hough may be on to something. Do Schools Have a Monopoly on Learning? Colleges can and do help students learn. However, schools aren’t the only place where learning can occur. In fact, most learning happens outside the walls of academia – in the workplace, the home, and the community. When employers require college degrees, it sends the message that schools have a monopoly over learning. Are people not qualified and capable of studying on their own? Should learning come with a warning: “Do not attempt this at home”? Of course not. Ideally, a college degree would be a simple representation of a person’s learning and ability. Unfortunately, it’s morphed into something much more enticing and harmful to a student’s psyche. A recent book, Punished by Rewards, discussed how elementary and secondary students were harmed by the implementation of rewards-based motivation systems. When students were controlled by rewards (i.e. sticker charts, recess coupons, etc. ), the rewards became the primary motivator for their actions. Take a student who loves to write stories. He does it every day simply because he loves imagining adventures and playing with words. Now, tell the student you’ll put a sticker on the chart every time he writes. Instead of writing out of love, he’ll start writing to get the stickers. Once you take the stickers away, he’ll stop writing all together. The extrinsic motivation has actually caused him to lose his passion. A college degree is the ultimate form of extrinsic motivation for adult learners, and it can destroy a person’s love of learning. A college degree is the carrot schools use to entice people to pay $40,000+ to sit in classes and follow a pre-designed curriculum. Students know that the degree can help them get better jobs, make more money, and find respect with their peers. When students “work toward” a degree, they become more focused more on the outcome than the process. The degree becomes the reward and the ultimate goal. Any learning that does occur is simply a byproduct of the race to the finish line. If we stop relying on the college degree, employers will still want a way to evaluate applicants. People will still want a way to prove their knowledge and experience. This idea is a start in the right direction. But, it puts entirely too much weight on testing. Like the completion of a degree, the completion of a test is not necessarily the best proof of authentic learning. Some people are good test takers, some people are capable of extensive short-term memorization, and some highly-knowledgeable people have neither of these skills. Perhaps a knowledge transcript could list other accomplishments: projects a person has completed, articles they’ve written, volunteer work they’ve done. A portfolio-based system would be more individualized and harder for employers to evaluate quickly. However, learning itself is highly individual. If employers want the best for their money, taking the extra time to consider the whole person will be worth the effort. 11 Comments on "Should We Abolish the College Degree?" I do think a ‘knowledge transcript’ is a step in the right direction. Having a degree just for a job – especially when most do not get a job related in the least to their degree – is pointless. I think if it was coupled with an increase in apprenticeship over plain old pay for work that it would lead to a major change in people’s lives. Sounds like an AP exam. I agree with half of this post. The college degree has become less about learning and more about signaling certain features to potential employers (and other people of relevance who are interested in the qualities that a college degree is supposed to provide). But ultimately employers need a signaling mechanisms because they can’t know everything about a potential employee. Although some people might be better and some might be worse at testing, standardized testing does provide a decent way of quantifying what is known. I also think that you have unnecessarily disparaged the need and usefulness of extrinsic motivations. Indeed, I am somewhat inclined to say that almost all education (and for that matter personal improvement) begins with extrinsic motivation. I have no problem with people wanting to learn economics because it will make them a better stock broker, or improving writing composition skills because they need to write well for medical school, or even learning differential calculus to be able to talk to all of the cute math girls. Most people that I know have found the things they truly love to do because they were introduced to it because of extrinsic demands. Intrinsic love of learning comes with time and exposure to learning. In the end, I think that probably the best way is rather than have a knowledge transcript, which could be misleading, is to have employers who are genuinely interested in having employees with a foundation of knowledge (like an architectural firm for instance), complete a certification test, which could either be company specific, or profession specific (like a test for all pharmicists, stock brokers, or clothing manufacturers). Whether a profession would have a profession-wide standardized test, rather than a company-wide one, would simply be whether you could get a consensus of firms to agree that knowledge of a collective body of knowledge is necessary for a common denominator in this career field. I think you would have difficulty getting such a certification out of plumbers because of the manner in which plumbers tend to be employed (small business, apprentice style firms), or fashion designers because of the lack of a broad base of knowledge. Interesting comments, Arp and Brian. I do think that extrinsic motivation often keeps people from learning. For example, let’s say that someone takes a math class because they need it to earn an college degree. Another person takes the math class because they want to be able to do math. Who is going to learn more? While it may not be the technical definition, I see “have vs. do” as the primary distinction between extrinsic and intrinsic motivation. A person who is controlled by extrinsic motivation wants to have something: a sticker, a prize, a degree. A person learning because of intrinsic motivation wants to be able to do something: write for the joy of writing, study econ to be able to manage stocks, etc. Please do keep commenting; discussion and disagreement helps me (and hopefully others) clarify and re-consider our views. This is a very interesting article. I agree that college doesn’t adequately prepare students for the real world; in fact, to me it seems more like an extension of high school. The same structured and restrictive learning, for adults rather than teenagers. It’s a lot more specialized too, which I find disappointing and limiting. There’s also the bias towards certain fields. Compare the “usefulness” of a philosophy degree to a business degree. Yet I think the world could do with a few more deep thinkers and a few less business people. But that might just be my stereotyped bias of the corporate world only caring about money. I agree that “working towards a degree” results in a high focus on the degree itself rather than the journey. It often implies that once you have the degree, your learning is finished. Also, when you’re so focused on your grades, students aren’t likely to go back and grapple with that bit they didn’t understand. The subject’s done and over, they’ve passed, they probably don’t want to see it ever again. And when students cram for an exam, they’re not going to remember much of the content a week after the exam, much less by the time they finish their degree. Likewise for the knowledge transcript, if the testing was done 10 years prior to the job interview, you would have to wonder at it’s relevance. It still sounds better than the degree though. I’m curious though. What do students feel like they are getting out of their degree? Do they think it was worth it? What about employers? How much value do they put on a degree? And if people think it’s worthless, what are the alternatives? Any technical knowledge or skills necessary can be screened for in interviews. have a similarly tenuous connection. With complete courses available as OCW, college is now officially obsolete. I’m soon to graduate high school and am thinking about pursuing a certification progam instead of a degree. I belive that sucess is obtained by education as well as experience. Experience is key in obtaining a job now days, and i don’t want to spend two years of my life sitting in a class room just like high school all over again before learning about the profession that I want to pursue. In those two years i could gain experiance that can compliment my knowledge of the field. And if I want to go back and get a degree, then i can do so with experience already on my resume. Employers care about the money they spend on employees. If I was hiring someone I would care more about what experience and the knowledge they bring to the table. What’s the point of going to college, giving up years of your time, and ending up not even working where you want because you have no experience? Getting a degree, in my opinion, has become a trend in society that people aim for because they care about prestige. Life’s too short to care about what other people think. It’s the individual’s personal choice that counts. After all, it’s the individual that recieves the concequences and impact. I have over twenty-five years of experience in the information technology field. I learned in the trenches, as the industry was developing. There were few classes and no degrees for PCs when I taught myself to program. Now I can’t get an interview (or bid on a job) because I don’t have a degree. Most resumes are screened by an HR department or staffing agency that really doesn’t know or care about my experience. The raw data is input into some resume software and then you are forever lost. A manager that might be interested in your skills will never know about you because you are not in the search results. This is “warehousing”. It is a way of sorting human beings without the implications of sorting human beings for later use–such as for a war. As far as making money, college has nothing to do with that. The important things are the current political fads(blacklisting Vietnam Vets, blacklisting White males, blacklisting whoever is in the way; and whose your daddy. One of the biggest problems with college degrees these days is that they’re so commonplace, they’re losing their value. The colleges have also dumbed down the curriculum so that anybody can get a college degree. Many of today’s students attend college because they think that it’s the only way to a job, and as a result, the colleges are filled with students who aren’t really interested in learning. And this whole situation is costing both the government and the parents a fortune. Therefore, I strongly support developing alternatives to the college degree. The knowledge transcript is a good idea, as are the career certification exams which another poster suggested. People who learn on their own tend to be better learners, and there need to be more credit-by-exam programs so that self-learners can document their knowledge. CLEP exams are already one good option in this regard, but it would be good if there was a wider variety available.